Sharp stud foreign body in the bowel from tongue piercing that came apart and was swallowed (arrow). Images courtesy of Intermountain Medical Imaging, Boise, Idaho. Submental Intubation – The Video! Yesterday, I described a technique for providing a secure yet short-term airway tailored to patients who can’t have a tube in their mouth or nose. 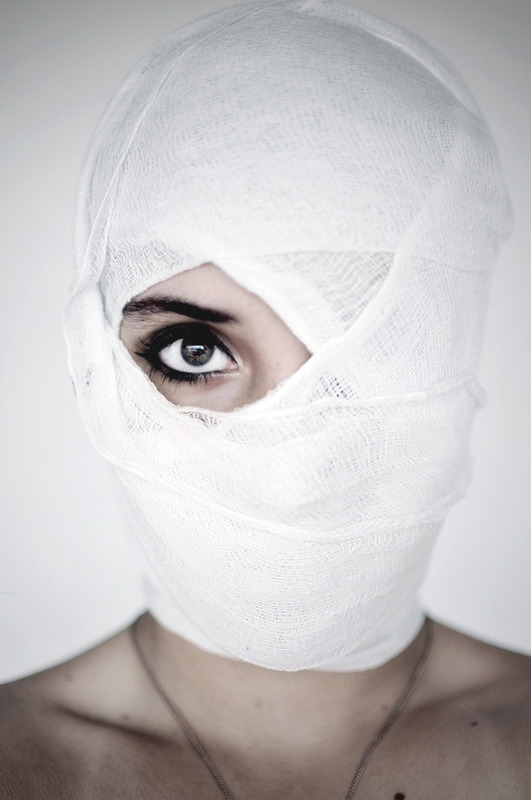 Patients undergoing multiple facial fracture repair are probably the best candidates for this procedure. A picture may be worth a thousand words, but a video is even better. Please note that it is explicit and shows the blow by blow surgical procedure. Of note, it is a quick and relatively simple advanced airway technique. How To: Secure An Endotracheal Tube To… Nothing! Several decades ago I took care of a patient who posed an interesting challenge. He had been involved in an industrial explosion and had sustained severe trauma to his face. Although he was able to speak and breathe, he had a moderate amount of bleeding and was having some trouble keeping his airway clear. Everyone frets about getting an airway in patients who have severe facial trauma. However, I find it’s usually easier because the bones and soft tissue move out of your way. Or are already gone. As long as you can keep ahead of the bleeding to see your landmarks, things will go fine. In this case, the intubation was easy. The epiglottis was visible while standing above the patient’s head, so a laryngoscope was practically unnecessary! But now, how do we secure the tube so it won’t fall out? Sure, there are tube-tamer type securing devices available, but what if they are not available to you? Or this happened in the field? Or their face was missing or falling off? Or it was in the 1980’s and it hadn’t been invented, like this case? Be generous with the tape, because the tube is your patient’s life-line. Now it’s time for the surgeons to surgically stabilize this airway, usually by converting to a tracheostomy. How often do trauma professionals hear that? Patients intubated in the ED (or before) almost universally have a chest x-ray taken to check endotracheal tube position. And due to variations in body habitus (and sometimes number of teeth), the tube may not end up just where we want it. So look at how deep or shallow it is and adjust it by the number of centimeters out of the correct position it should be, right? There were only 55 patients who met criteria for the study. No denominator information was give, so we can’t tell how good or bad the intubators were initially. A smaller number were too deep (median position 0.7cm). These were mostly in women. The usual intended adjustment was 2cm. The actual distance moved after manipulation was half that (1.1cm). Bottom line: Endotracheal tube repositioning based on tube markings at the incisors is not as accurate as you may think. Patient body habitus and reluctance to pull a tube out too far probably are factors here. So be prepared to readjust a second time unless you intentionally add an extra centimeter to your intended tube movement. Reference: Repositioning endotracheal tubes in the intensive care unit: Depth changes poorly correlate with postrepositioning radiographic location. J Trauma 75(1):146-149, 2013.